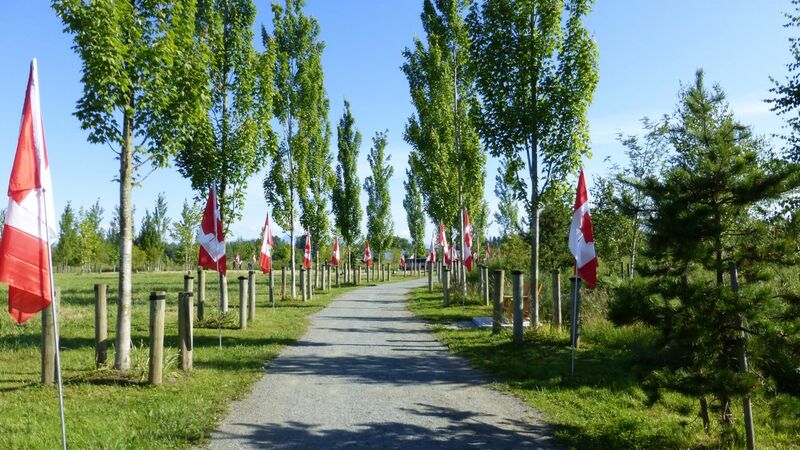 Canadian flags line the walk of the Arboretum – Langley, B.C. Today we Canadians celebrate Canada’s 147th birthday! I love Canada and am proud to be Canadian. However, some things in our culture cause me concern. The rise of political correctness and the marginalization of people who hold to traditional Judeo-Christian beliefs is one. In our Sunday church service we spent some time commemorating Canada. A moving part of the program was the recitation, by about eight children (7-10 years-ish) of the preamble to the Canadian Charter of Rights, together with a list of our fundamental freedoms (though they did the latter part in words that simplified the legalese). In this day and age when some of these freedoms are appearing more and more like a fiction (e.g. a conference simulcast is denied use of a public building in Nanaimo B.C. because its arms-length affiliation with sponsor Chik-Fil-A was deemed offensive to the LGBT community, and Christians who are against abortion are not allowed to run for the federal Liberal party as new candidates, existing candidates are not allowed to vote their conscience on abortion), it’s nice to be reminded that the rights of conscience, religion, thought, belief, opinion, expression, and peaceful assembly are still officially and legally and rightfully ours as Canadian citizens. We also sang O Canada, verses 1 and verse 4—another reminder of Canada’s faith foundation. All ” O Canada” lyrics including stanzas 2. & 3. We do live in a strange time, don’t we? Thank you, Tracy! Yes, we do live in strange times. As I see the drastic changes in society and how they’re infiltrating the church, I pinch myself and ask–is this really happening? I think the customs and mores of the culture have always seeped into the institutions (I’ve been reading a lot of history), but it does seem to be happening on a radically larger scale these days. In any case, it’s very disconcerting.